Amtrak employs approximately 20,000 workers with close to 86% of the company’s labor force covered by labor agreements. Unlike workers in other American industries, Amtrak workers are covered by the beneficiary provisions of the Railroad Retirement Act (“RRA”) rather than the Social Security Act. Under the RRA, employers and employees contribute tax payments in amounts significantly higher than standard payroll tax rates in order to fund annuity payments for retirees, disability benefits, survivor benefits, and other benefits similar to those found under Social Security. In 2013, Amtrak paid an average of 19% of its payroll into railroad retirement, unemployment, and sickness taxes. In addition, for its 20,000 employees, Amtrak paid a total of over $795 million in total employee benefits, which equates to almost $40,000 per employee. For retired railroad workers, annuities under the RRA average $2,760 per month compared to average retiree annuities of $1,170 per month under Social Security. However, similar to Social Security, the Railroad Retirement Board (who administers retirement and disability benefits to railroad workers and their families) employs a pay-as-you-go method of funding benefits where taxes recovered in one year are pooled and used to pay for benefits to all industry employees who have retired or are otherwise eligible for benefits under the system. Income not paid out in a given quarter is invested in several railroad workers’ retirement trusts, which today have a current market value of approximately $26.7 billion. Much like the Social Security system, the Railroad Retirement Board’s pay-as-you-go system of taxes and benefits poses cash-flow challenges as the number of employees and total income declines and the number of beneficiaries increases. However, unlike the Social Security system, the severity of the risks posed by the railroad retirement system are exacerbated by the higher level of taxes and benefits paid by railroad workers and employers as well as the ever- changing nature of the railroad industry. In terms of employee retention, since Amtrak began operations in 1971, total railroad employment has declined by approximately 65%. The majority of these losses have come from the freight industry, as Amtrak accounts for only 10% of total railroad employment. 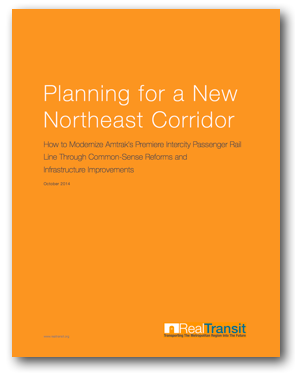 Nevertheless, if two freight railroads merge and consolidate their worker base, that loss of employment directly impacts the amount of income flowing into the Railroad Retirement Board, which in turn impacts Amtrak’s workers and bottom line. Indeed, since 1980, the number of Class I railroads has shrunk from forty to seven total operators. Despite the apparent changes to the railroad industry that have caused employment to decline since the 1950s, the Railroad Retirement Board predicts that employment will largely stabilize in the upcoming decades and the various retirement trusts will remain solvent. 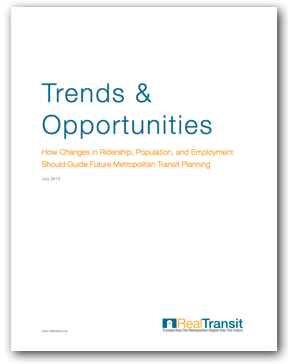 Even in their worst case scenario, the Railroad Retirement Board predicts that employment would decline by a maximum of only 50% over the next twenty-five years. Still, as the railroad industry continues to change with the development of new technologies, consolidation of freight operations, and increased automation, it is important to prepare for a number of potential employment contingencies. 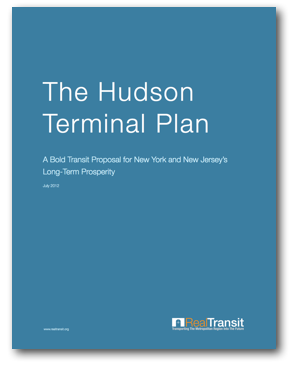 With ongoing increases in retirement and life expectancy, the Railroad Retirement Board has also anticipated the need to increase employer payroll taxes from their current rate of 17% to up to 27% by 2038. While these presumptions are troubling on their own, they also are premised upon steady market growth to protect the viability of the various retirement trust accounts. 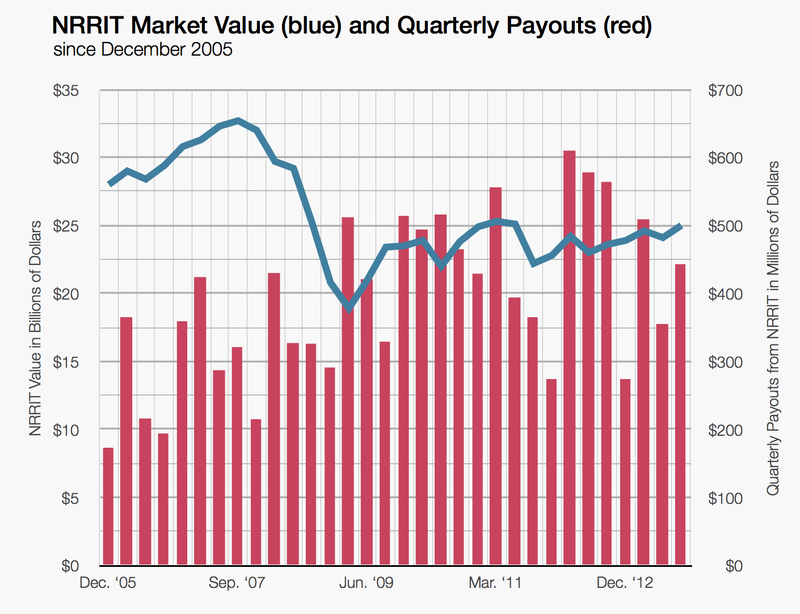 In a recent example of the challenges of market volatility, following the economic recession of 2008, the market value of the National Railroad Retirement Investment Trust (“NRRIT”) declined from almost $33 billion to under $20 billion before rebounding over the next five years to its current value of $25 billion. Due to the size of the account, this temporary 40% elimination in value did not threaten the solvency of the trust fund. If, however, over the next twenty- five years, another major negative economic event were to damage markets in a similar fashion to the 2008 recession, the combined effect of unplanned employment losses and increased employer taxes would pose serious threats to the solvency of the railroad industry’s current high-tax/high-payout scheme of retirement benefits. 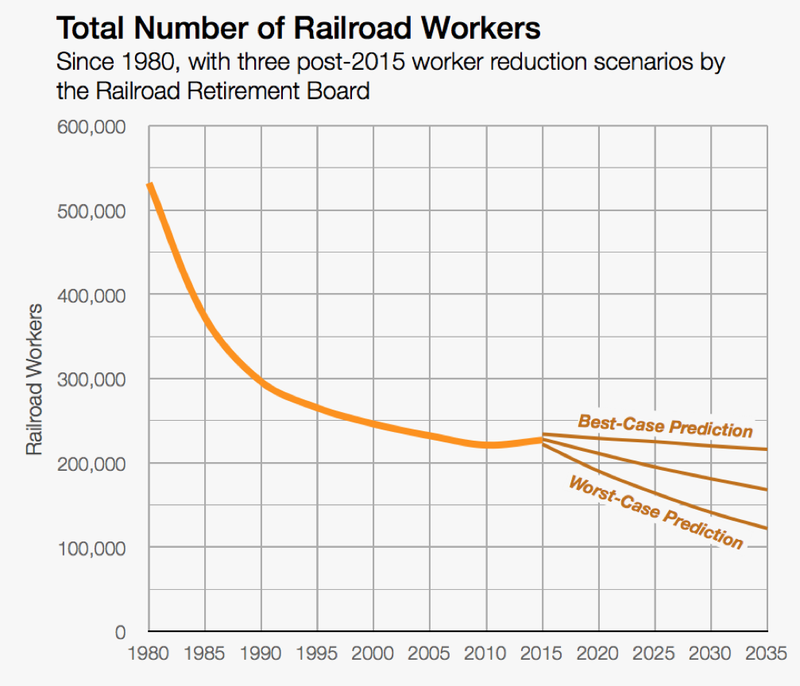 Even without a major negative economic event and an increase in employer payroll taxes to 27%, the Railroad Retirement Board predicts that the NRRIT would become insolvent by 2035 under their own “worst-case prediction” employment scenario as illustrated in the preceding chart. In addition to Amtrak’s exposure in terms of retirement benefits, Amtrak railroad employees are also covered by the Federal Employers Liability Act (“FELA”), which provides methods for recovering damages related to workplace injuries. In comparison to many state no-fault workers’ compensation insurance systems, under FELA, an injured employee may first negotiate a settlement with the railroad employer. If negotiations collapse, the employee may file a lawsuit alleging negligence. Unlike traditional workers’ compensation schemes, FELA allows railroad workers to recover non-economic damages such as pain in suffering in addition to their economic losses. This combination of fault-based compensation and liability for non-economic damages has resulted in significantly larger payouts for injured workers than in other industries.